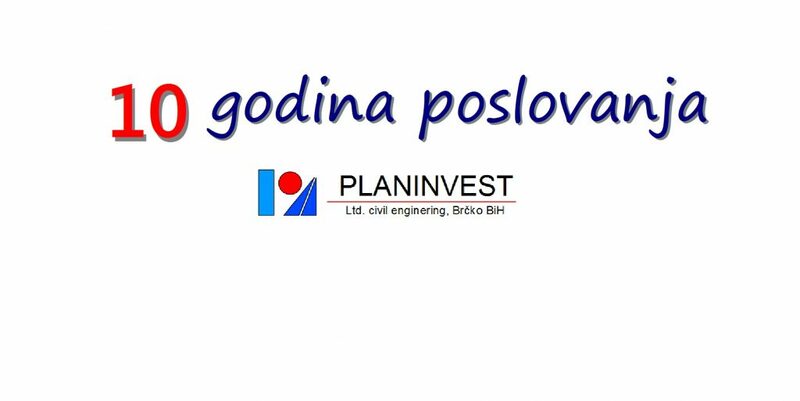 Planinvest Brcko Ltd. was founded in january 2008, with the aim of improving the level of professional services in planning, construction and exploitation of the buildings. Planinvest is a small company. Most of our activities on the service we perform in Brcko District and other activities in Bosnia and Herzegovina. We have a good business and technical cooperation with companies from our area of Brcko and BiH. We fully know the business environment, local legislation and procedures in the Brcko District and Bosnia and Herzegovina. The company founder is Miodrag Simić, graduate civil engineer, department of roads and railways, Faculty of Civil Engineering, University of Belgrade. We offer design, control of technical documentation, supervision of construction works, consulting services in the construction, consulting services preparation and realization of investments in the civil engineering sector. he main activity of the company is the design and supervision of construction of roads,streets, sidewalks, drainage, external installations, parking lots, traffic connections, water supply and sewage.. Engineers hired by the company Planinvest have experience in the construction and design of various buildings. We perform supervision of construction works. Construction supervision perform responsible for the account of the Investor and the profession in accordance with the current legislation. For construction supervision hire experts who have experience in the same or similar objects and works such as the building in question. In the field of design of transport and infrastructure have an important reference of over 200 successfully completed general designs. As a leading consultant in the company Miodrag Simic has experience in supervising the construction of 17 roads and 2 bridges. 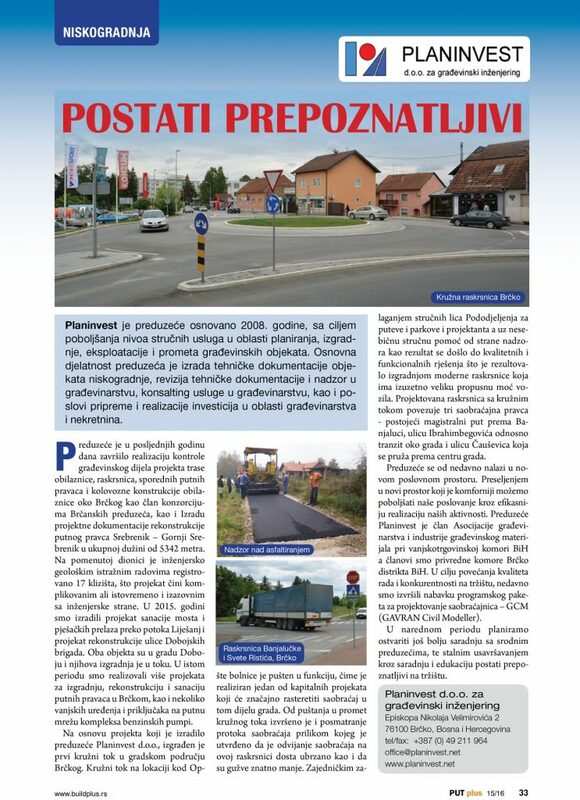 The final project for the reconstruction of the access road from Bijeljina road for JP Luka Brcko. Auditing of the of the bypass around Brcko. 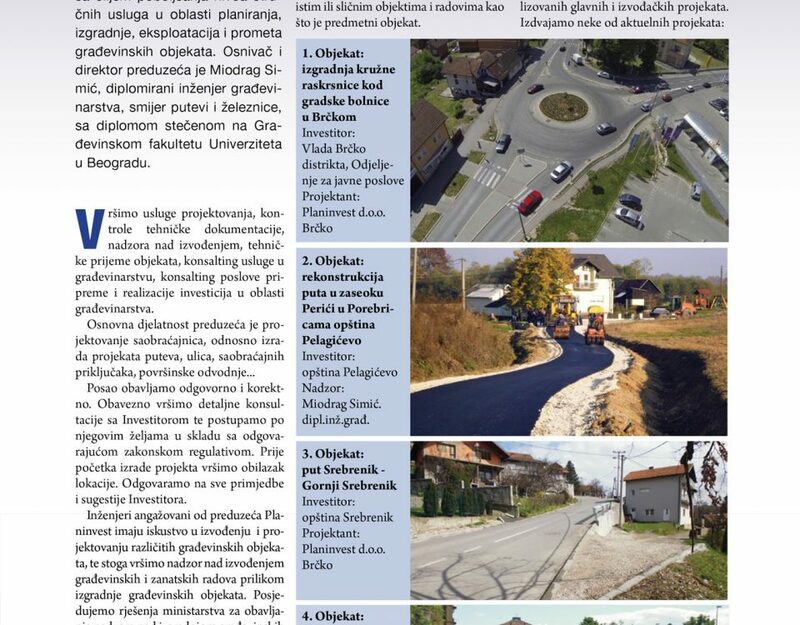 Preparation of project documentation of reconstruction of the road Srebrenik – Srebrenik Gornji with a total length of 5342 meters. On the mentioned section of the engineering geological exploration works registered 17 landslides, which makes the project complicated but at the same time challenging the engineering hand. 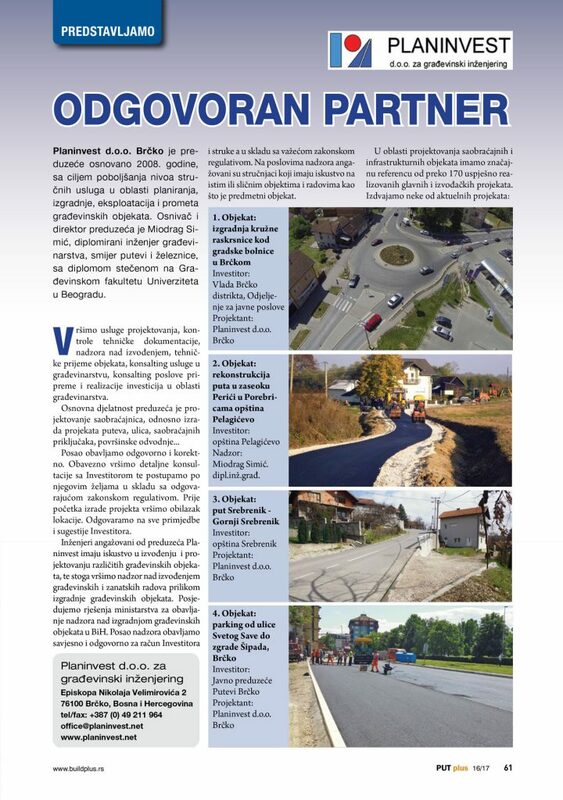 The repair bridges and pedestrian crossings over streams and Liješanj addition, the project of reconstruction of the street Doboj Brigade. 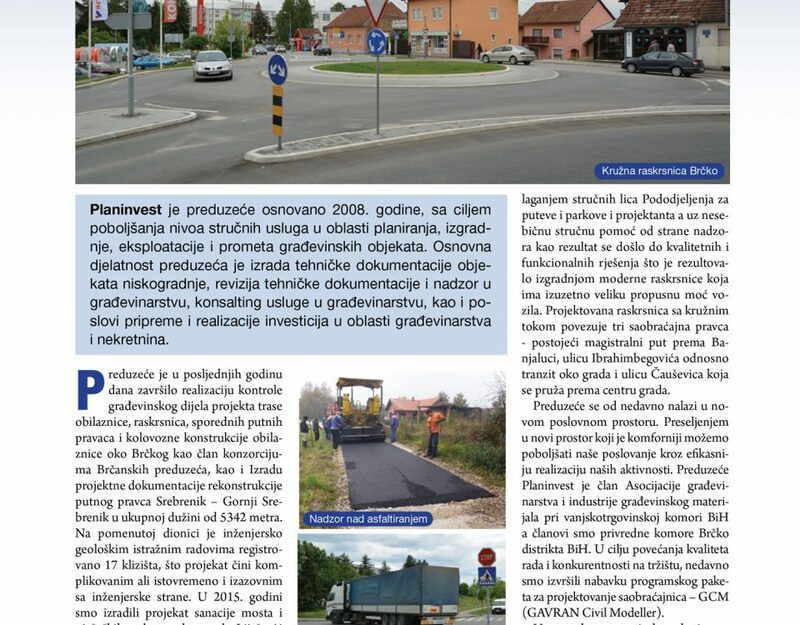 Based on our project, built the first roundabout in the town of Brcko. Roundabout at the site at the General Hospital was in operation. We own activity has been approved for the project dokumentation, revision of project documentation and construction supervision in Brcko District. Design of transport infrastructure work in software Gavran Civil Modeller “- version GCM ++. Author software is Dr. Dejan Gavran Dipl. Ing. Do business responsibly and correctly. During the realization of the work we perform detailed consultations with the Investor, act according to their wishes in accordance with the applicable regulations. Before the start of project we visit a location. We respond to all the comments and suggestions of investors and we perform the necessary finishing in the project documentation and project supervision. 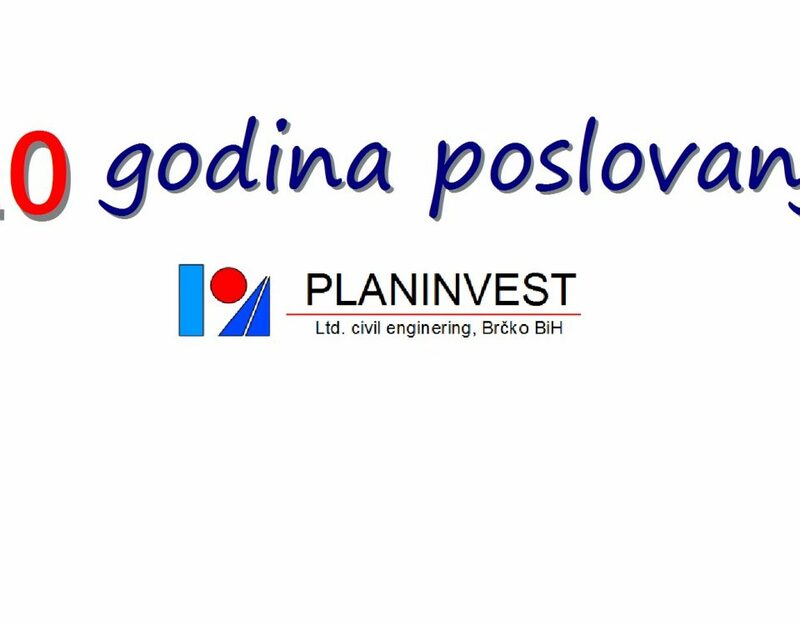 Planinvest is a leading company in the Brcko District in the planning of infrastructure facilities. Planinvest is in constant search of new jobs and markets. We are planning to achieve better cooperation with related companies, and continuous improvement through collaboration and education become recognizable on the market.